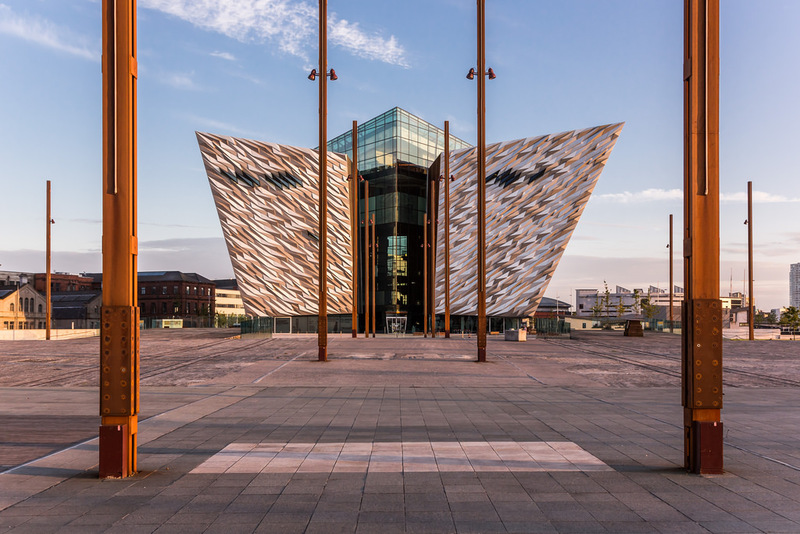 Timed to coincide with Valentine’s Day, Titanic Belfast has released a selection of real Titanic love stories. We all know of the love story between Jack and Rose in James Cameron’s hit film, Titanic, and even though it is based on fictional characters, the 1997 classic is still listed as one of the best love stories of all time. One of the most popular love stories from the ship was that of the owners of New York’s Macy’s Department Store, Mr Isidor Straus, and his wife, Ida, who travelled back from winter in Europe on-board Titanic. Once it was clear the vessel was sinking, Ida refused to leave Isidor and would not get into a lifeboat without him, apparently stating, “I will not be separated from my husband. As we have lived, so will we die, together.” Although Isidor was offered a seat in a lifeboat to accompany Ida, he refused as there were still women and children on-board. Ida also reportedly gave her maid, Ellen, her fur coat and insisted that she got in a lifeboat. A memorial plaque for them can be seen today at the 34th Street Memorial Entrance of Macy’s Herald Square. There was also 13 known honeymooning couples on board Titanic’s maiden voyage, including J.J Astor, owner of Waldorf Astoria Hotel, and his wife. According to the New York Times Astor “put up and owned more hotels and skyscrapers than any other New Yorker”, and was estimated to be worth as much as $200 million. He was the richest man on Titanic. Another favourite is the story of Kate Florence Philips who eloped with the owner of the shop she worked for. He was 20 years her senior with a wife and child. They left for America to start a new life together. Her partner, Henry, gave her a sapphire diamond necklace set in platinum, called the ‘Love of the Sea’, which she wore proudly on-board Titanic. Henry did not survive the tragedy, however, Kate managed to board a lifeboat, taking the necklace with her. She gave birth to Henry’s daughter a few months later. Titanic Belfast is the the world’s largest Titanic visitor experience and is located where the Titanic was built and launched in Northern Ireland. The attraction has welcomed over 2.7 million visitors since opening.